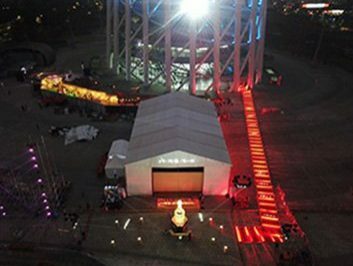 In a fierce competition business environment, besides high quality leads good reputation, some brands have a unique commercial idea for client impressing. 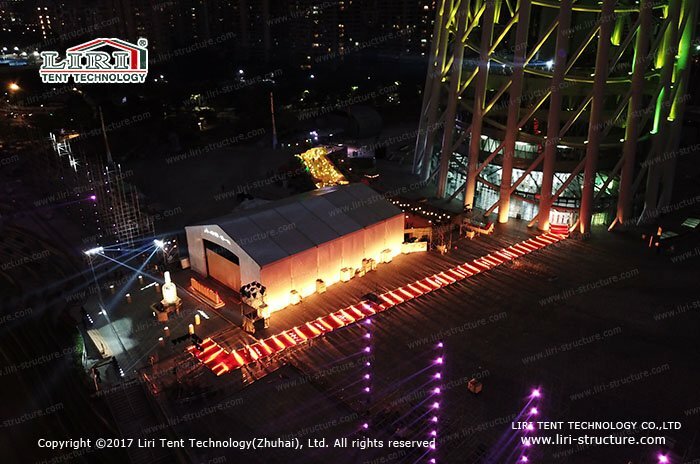 This time, we built temporary structures for events Tent for a brands company near Canton Tower. 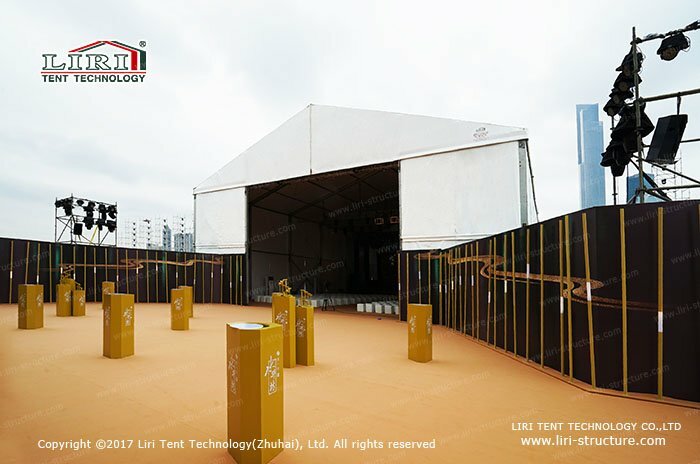 The tent design is alike passageway design, keep enough free walking space. 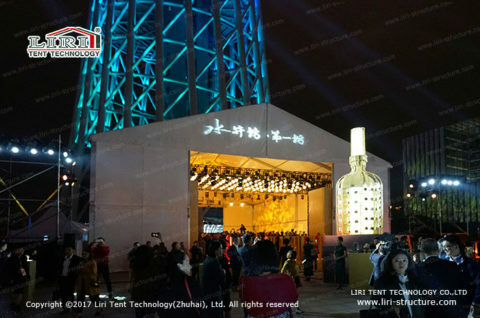 We use stage LED screen to be a fixed wall when after using the stage of the event, opening the LED screen via control, the guest will view Canton beautiful night scene back of the tent. The tent connects all event. What’s more, the tent ridge height is 8m, it has enough space to working of the stage and photographic equipment, let the commercial event is dynamic and attractive. 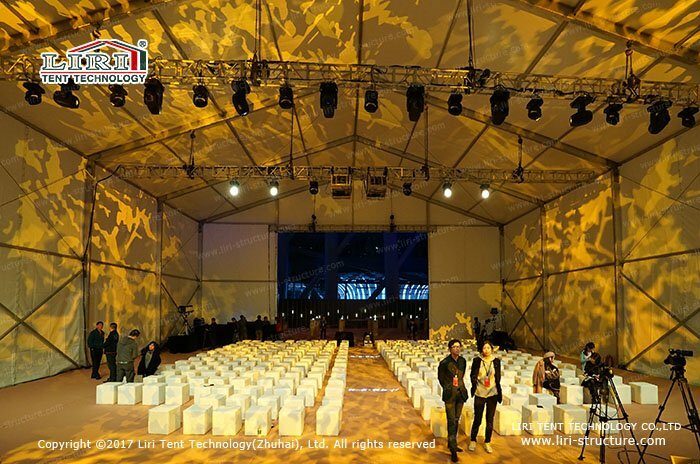 A great commercial tent is attractive and the products of the commercial event will be impressed guests. 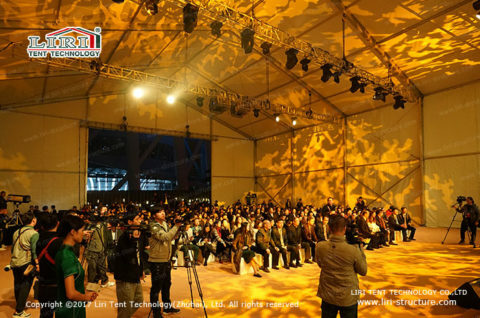 It is not fresh to hold a commercial event in our tent. 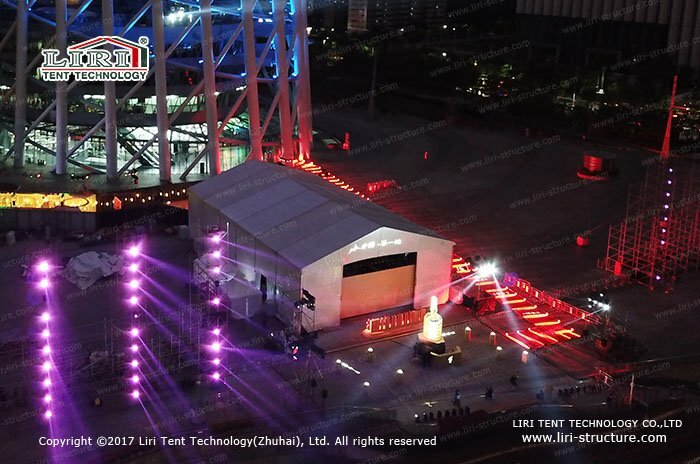 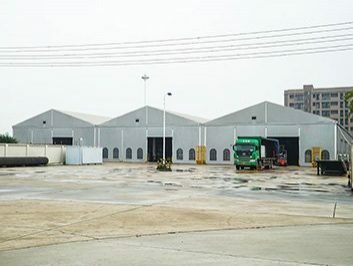 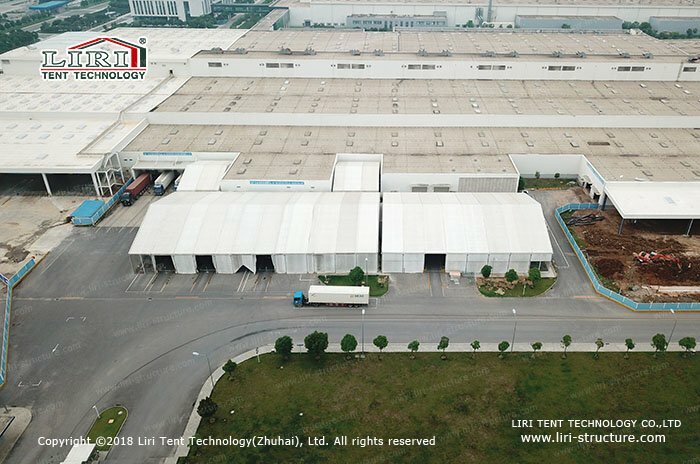 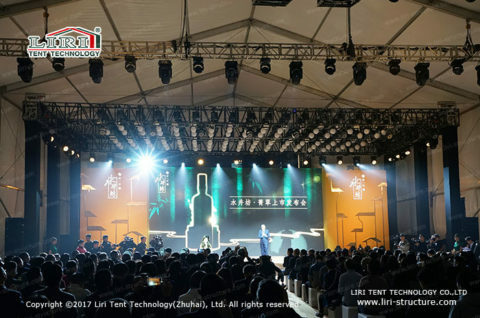 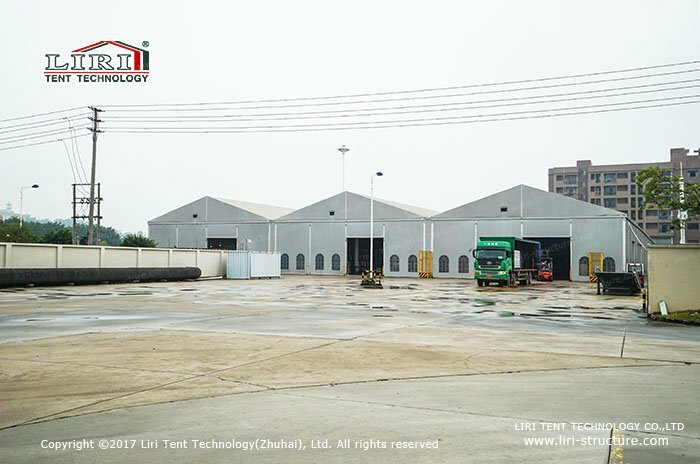 These years, Liri Tent have provided temporary structures for events tent for various of enterprise’s commercial event, for example, New auto shows, fashionable dress shows, Real Estate conferences and so on. Different events need a different structure, but we always communicate with our customer via our professional experience, to provide better solving planning. 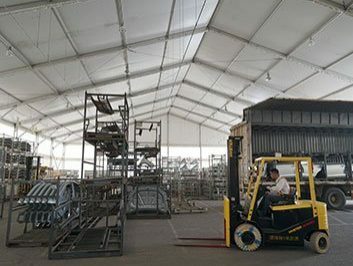 For these temporary Events, it demands a short time for installation. if you need an excellent and impressed event during 1-2 days, it is very convenient to choose temporary structures for events. 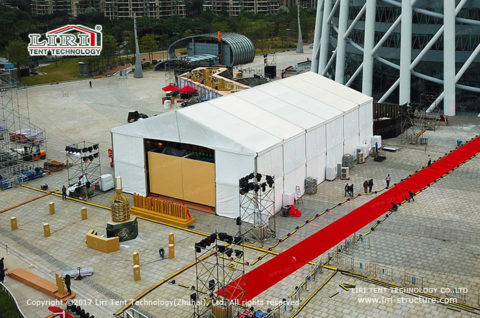 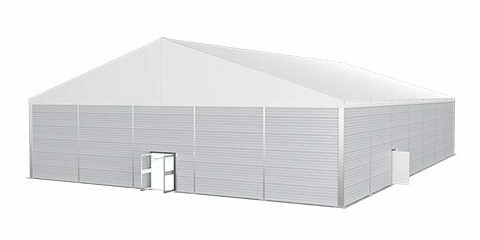 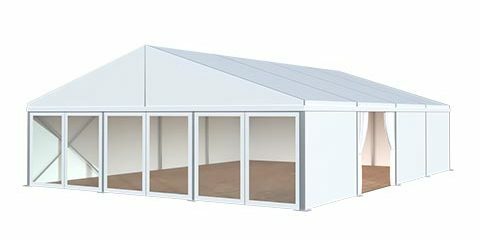 An aluminum frame tent is assembling the building, free design, and use. You can set up a temporary structure for events quickly, and conforming to the customized event theme.